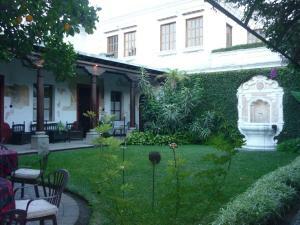 ﻿ Best Price on Hotel Casa Noble in Antigua Guatemala + Reviews! 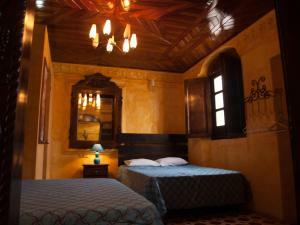 This boutique Hotel Casa Noble is a 17th-century colonial mansion located in Antique Guatemala, a UNESCO World Heritage Site. 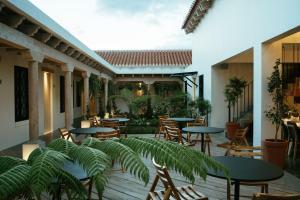 Features include a garden and views of the town and volcanoes. Free WiFi, colonial-style décor with tropical accents, and a cable TV are provided in every room as well as an en suite with a rain-style showerhead and free toiletries. Suites have a private terrace. The 24-hour reception offer personalized area information, and airport transfers can be arranged on request. Plaza de Antigua and Antigua Cathedral are 1640 feet away. The hotel is also 5 minutes' walk from Santa Clara Convent and the Colonial Art Museum, and Central Park is 8 minutes' walk away.